Millennial Rachael Hogg, mum Erin Baker, and racing driver Vicki Butler-Henderson (REV... get it?!) 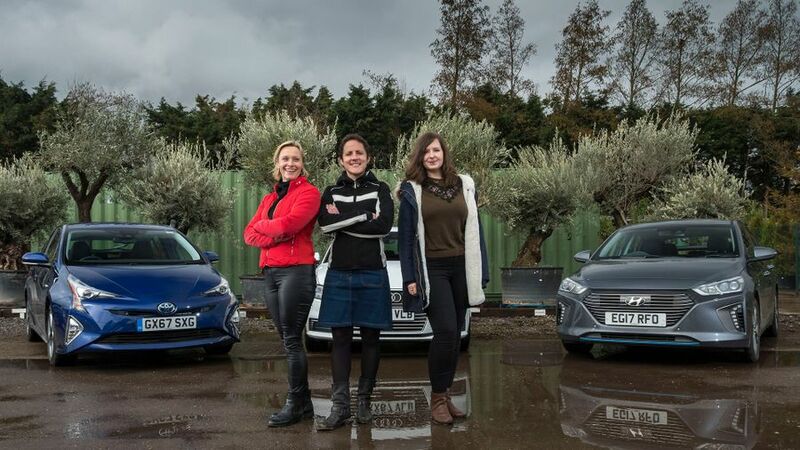 are testing three of UK's most popular hybrid cars – two plug-in hybrids (PHEVs) and one hybrid – based on how people search for them at Auto Trader, and with a monthly PCP price of around £300. This week, they see who can make their hybrid look the greenest of them all, at a garden centre. This test features the granddaddy of the hybrids, the Toyota Prius, Women’s World Car of the Year winner, the Hyundai Ioniq, and Audi’s first plug-in hybrid, the A3 Sportback e-tron. Interested in buying an Audi A3?